Cirro Lite have many years of experience in design, installation and training. Our ethos is to work properly to a brief by providing the correct types of solution appropriate for any particular studio. 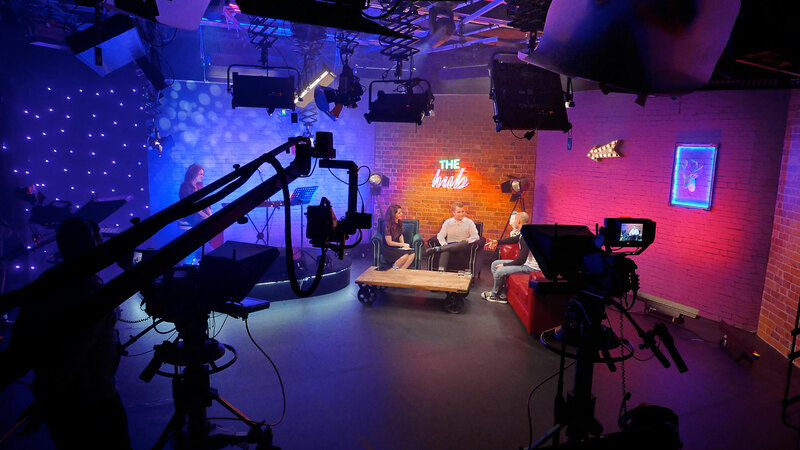 Our area of experience covers News, Commercial and Drama studios all of which have different requirements. Our experience with new technology is right up to date (we are currently showing some of the best and latest LED Lighting systems), we work very closely with some of the best manufacturers in the industry. Regardless of the size of the project or quality of camera package, lighting is a key to achieving professional and compelling images. The two areas of planning that can sometimes be given less than adequate budget and thought are set design and lighting design. Without these areas being executed well regardless of how much has been invested images and operational efficiencies will suffer - we aim to provide solutions that work! At Cirro Lite our primary goal is to help produce images that are of a high and professional standard, our experience in both the film, television and photographic industries places us in a unique position to offer the latest advice and equipment to ensure the most efficient and proffesional systems available. All of the people involved in the design and planning of studios have direct experience in image production on a proffesional level and regardless of the size or scale of the job bring a desire to create the best possible images with the resources available. Regardless of size of project it is a good idea to have some idea of the setup you will be shooting. Will it have a set or a simple background or chroma screen? If it has a set it will help in the process of planning the studio if these ideas are shared with the lighting designer as early as possible. This will ensure that the budget is effectivley spent and will avoid unnessary waste. It will also help provide the most appropriate equipment and ensure the best images. If your studio does not require a set, do you have a background or logo? Do you require branding or are you shooting against black? All of these scenarios will help to advise on the best combination of equipment to achieve problem free images. Is a control desk required? Is there an exisiting grid? Is there a set design?